This is my go-to recipe whenever I’m invited to parties, especially during the summer, because it doesn’t have to involve any cooking, it’s easy and it’s healthy! 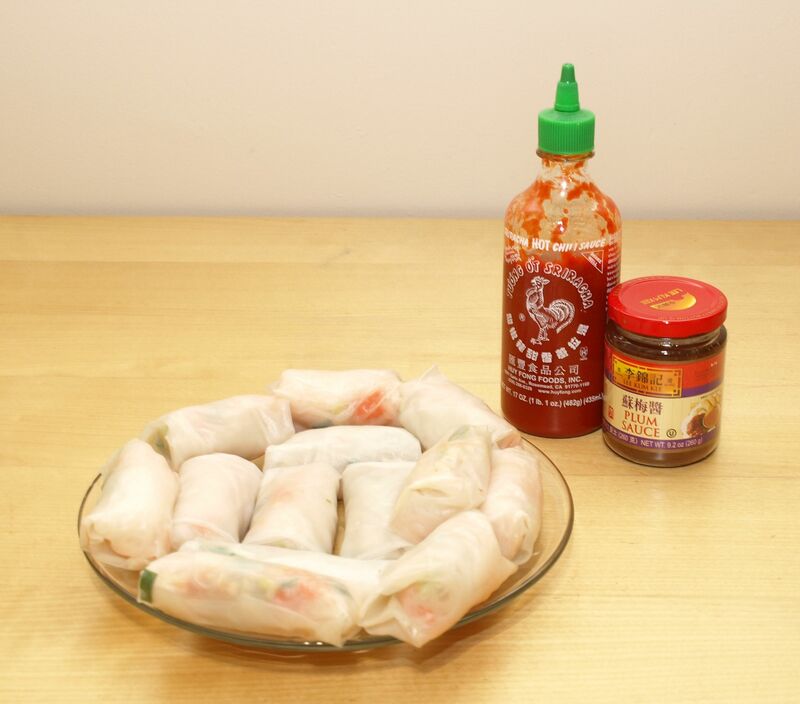 You can make these with a variety of fillings (fried tofu, cucumbers, etc. ), and dips (peanut sauce, chili sauce, plum sauce, etc.). 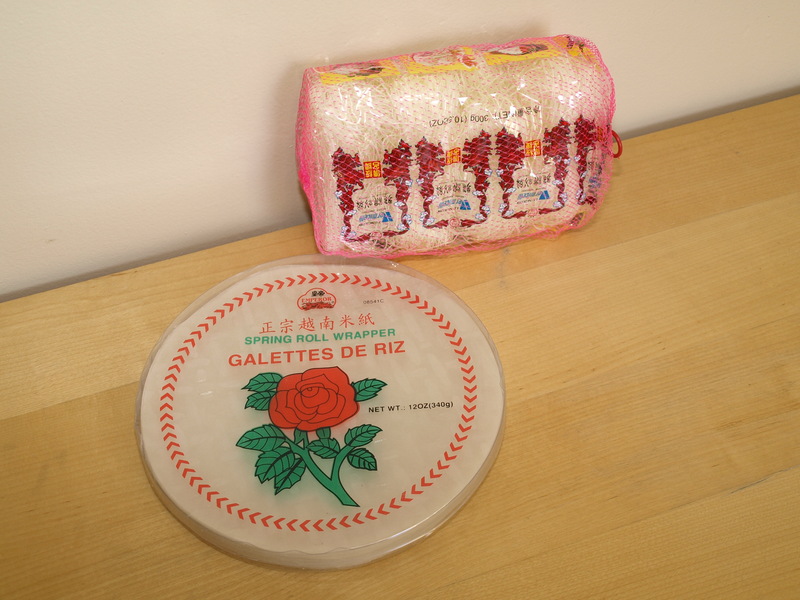 You can find cellophane noodles and spring roll wrappers in the ethnic aisle of your local grocer or at one of the many Asian grocery stores in and around the city – I get mine from Assi Plaza in Niles. 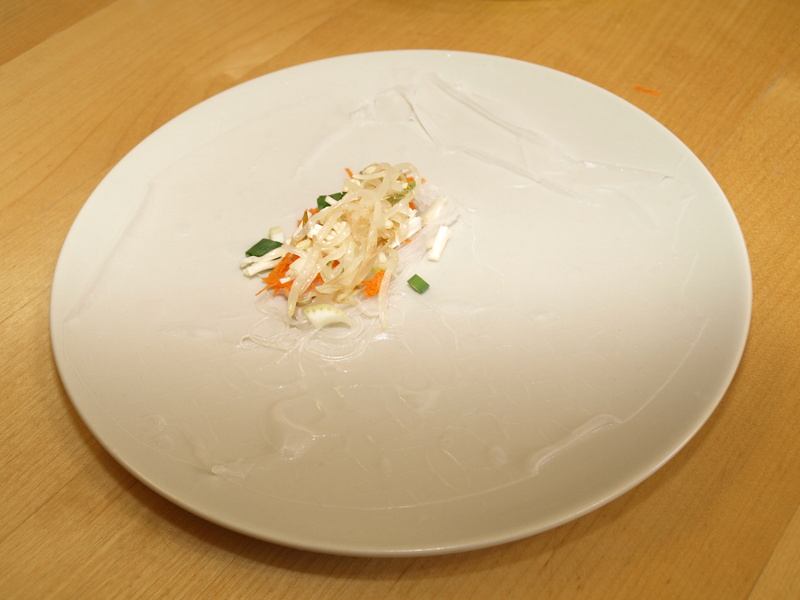 Soak the cellophane noodles in hot water until they are soft, drain them, rinse with cold water and drain again (be cafeful when draining cause these guys fall out of the pan pretty easily since they’re so thin). 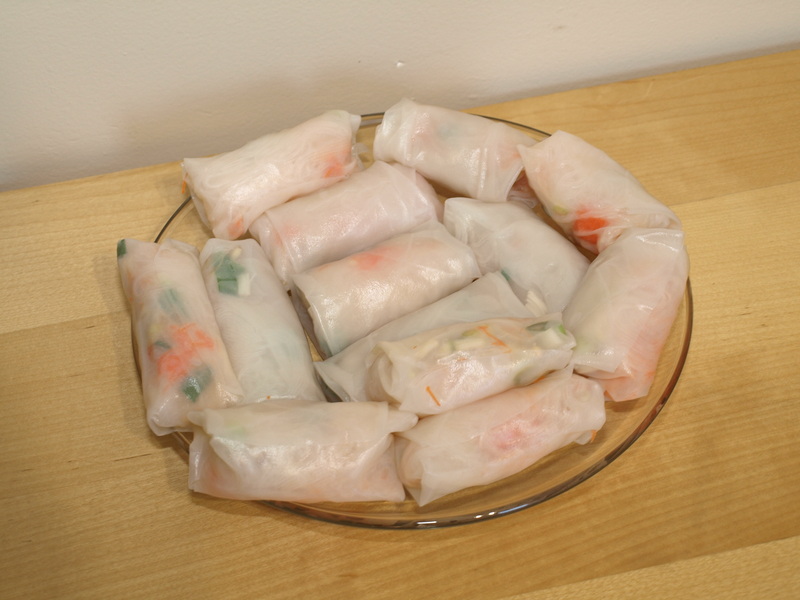 Fill a shallow pan half-way with warm water to soak spring roll wrappers. Set out 2 large dinner plates – 1 for preparation and the other to use as a serving dish (if you’re transporting them you’ll only need the prep plate, plus whatever you’re using to store them). 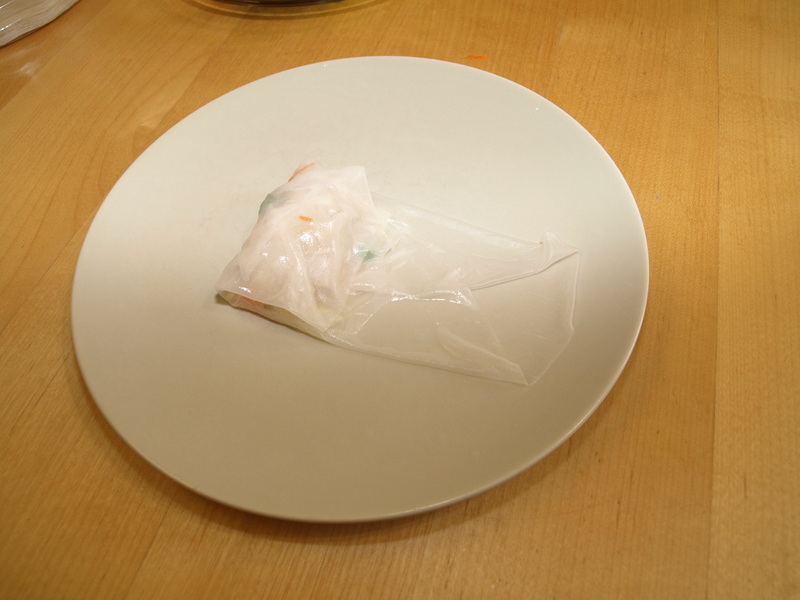 Open your spring roll wrappers and place one of them in the pan with water. Make sure you submerge it completely. Wait about a minute until it’s completely soft (time depends on your water temp). 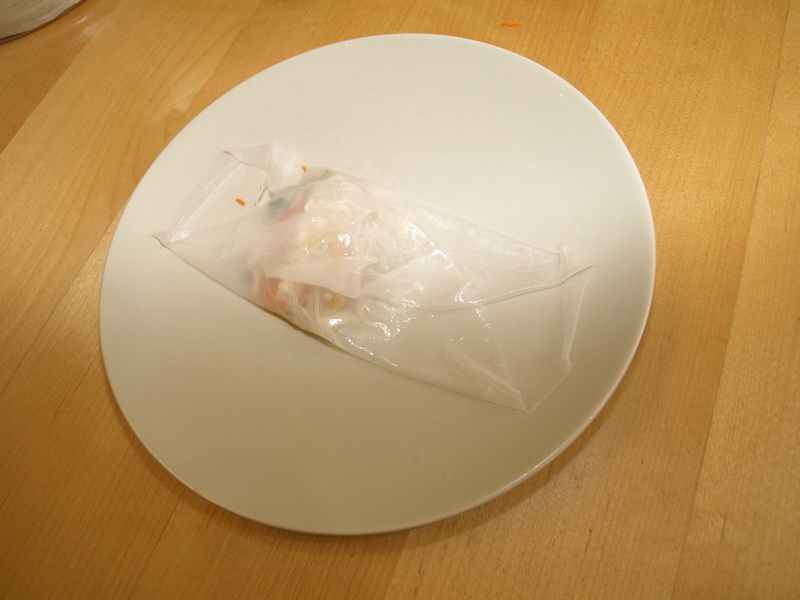 Transfer the wrapper to your plate and smooth it out being careful not to tear it. 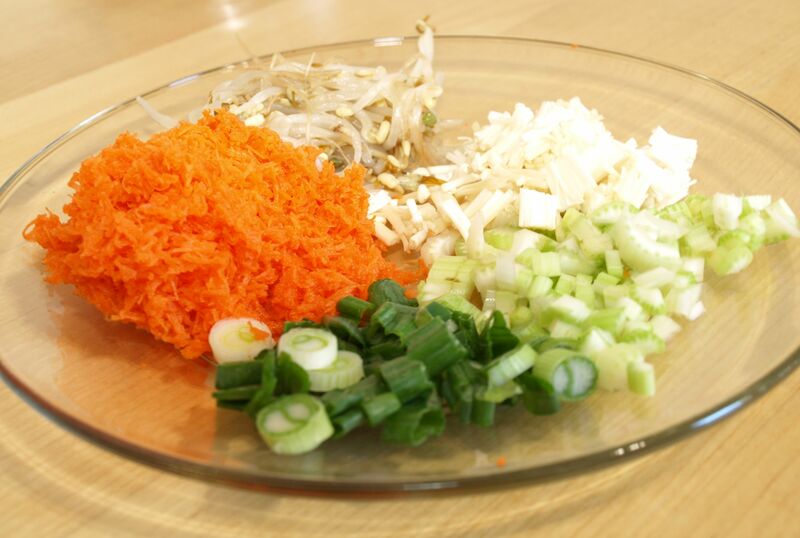 Place a pinch of cellophane noodles on the center, along with a pinch of grated carrots, sprinkle in scallions, mushrooms, bean sprouts and celery on top – you should have a little mound in the center of the spring roll. Push mound toward one side of wrapper and fold edge of wrapper over it. Fold in both sides and then roll (see images below). These can also be deep fried if you like. Follow steps as indicated above and then fry in either a wok or a deep frier until wrappers are golden. 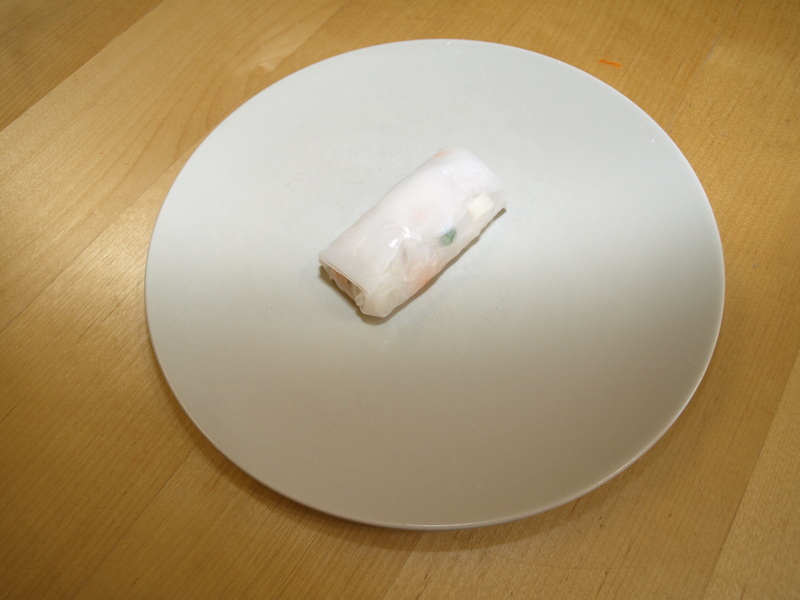 I served mine with plum sauce and Sriracha Hot Sauce, yum! Nick, had his with Bragg’s Liquid Aminos. I made these as a snack for a craft circle I held the day after Christmas. They were a big hit! 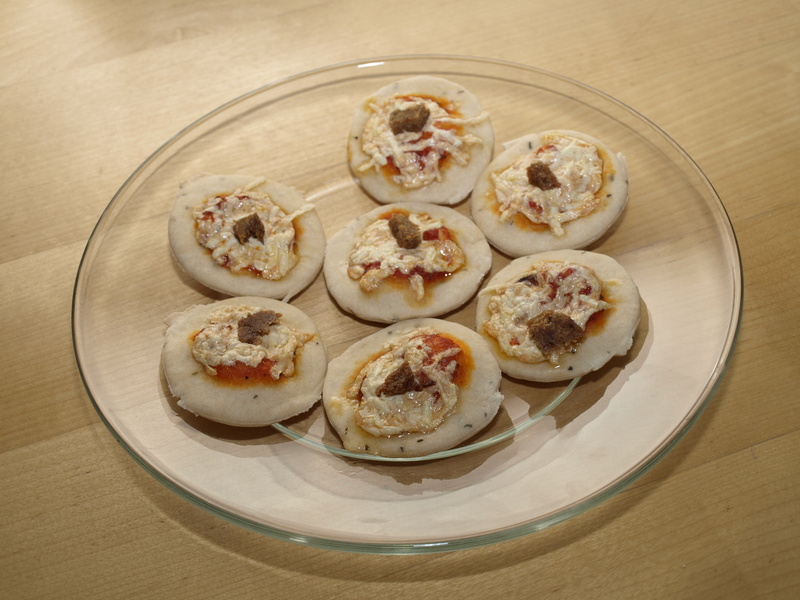 Nick, named them “Pizza Cookies” because the crust is soft, as opposed to crunchy, so if you’d like pizza crackers I suggest you make the crust thinner than I did. Roll out dough until it’s about 1/8 of an inch thick. Cut out 1 inch circles, place them on a cookie sheet. Spread marinara sauce in the center of the circle. Sprinkle on a little Daiya and add a couple of pieces of pepperoni. Bake at 350F for 15-20 minutes or until crust edges are tan.